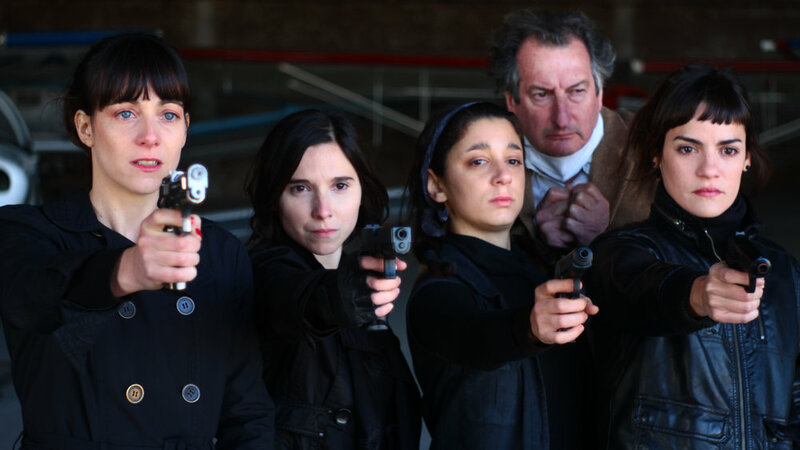 La Flor, the long-awaited epic film by Argentine filmmaker Mariano Llinás which has a running time of 14 hours—the longest Argentine film in history—was the winner of the top award for Best Film in the international competition at the 20th anniversary edition of the Buenos Aires International Film Festival, BAFICI. It marked the first time an Argentine film received the top prize of the competition after Parapalos (2004) and La larga noche de Francisco Sanctis / The Long Night of Francisco Sanctis en 2016. In Llinás' follow up to his also epic Extraordinary Stories includes six stories—four incomplete, a fifth one with a conclusion, and a sixth one with an ending but no beginning—screened in three parts. The film stars Elisa Carricajo, Valeria Correa, Pilar Gamboa, Laura Paredes playing different roles as they grow older during the mammoth film. The four performers were also the winners of the Best Actress award. Other Latin American winners in the international competition include the Brazilian films Good Manners / As Boas Maneiras by Juliana Rojas y Marco Dutra which received the jury's second mention, and Azougue Nazaré by Tiago Melo, which received the award for Best Director. Albertina Carri's The Daughters of Fire / Las hijas del fuego was the winner of the award for Best Argentine Film, while visual artist Lola Arias was the winner of the Best Director for her debut film Teatro de guerra / Theatre of War. Sol Miraglia y Hugo Manso's Foto Estudio Luisita was the most popular in the Argentine competition, winning the Audience Award. Three Bolivian co-productions were the top winners in the Latin American competition, which was topped by Averno by Marcos Loayza (a co-production with Uruguay). Bolivian filmmaker Mauricio Alfredo Ovando took the Best Director awards for Algo quema, while Francisco Bouzas' La cuarta dimensión (an Argentine co-production) received a Special Jury Mention. The 20th edition of BAFICI took place April 11-22 in Buenos Aires, Argentina.